Barbados has not been hit by a hurricane since 1955 and has not been affected by either of the recent mega-storms, Irma and Maria but it is still suffering from their impact. According to Petra Roach, director for the Barbados Tourism Marketing, confusion with the island of Barbuda, and general lack of knowledge about Caribbean geography, has had an impact on its tourism outlook. “It is business as usual for us with lots of events that agents could package,” she added. Prior to the hurricanes, Barbados had been enjoying positive news on the tourism front. It has seen additional routes recently with more to come in the near future, including a once-weekly flight out of Newark this season that will start Nov. 19 and run through April. If successful, that service will be expanded, according to Roach. Air arrivals from the U.S. were up 20% in the first four months of 2017. The U.S. is the island’s second biggest market after the U.K. but is growing rapidly. In addition, cruise passenger arrivals rose more than 25% during the same period. On the hotel front, the 220-suite Sandals Royal Barbados will open in December (the second for the brand on the island) with a number of Sandals firsts: first rooftop pool and bar, first 4-lane bowling alley, first men’s only barbershop and two new restaurant concepts – American Tavern and Chi Asian. In 2019, the 450-room Sam Lord’s Castle Barbados, A Wyndham Grand Resort, will open on the site of Sam Lord’s Castle. It will be the first Wyndham-branded resort on the island. Also coming are Hyatt and Beaches properties. Meanwhile, Barbados maintains its traditional appeal as a comfortable, accessible destination, said Roach. “There are no private beaches and we have a lot of history with the U.S.,” she said. 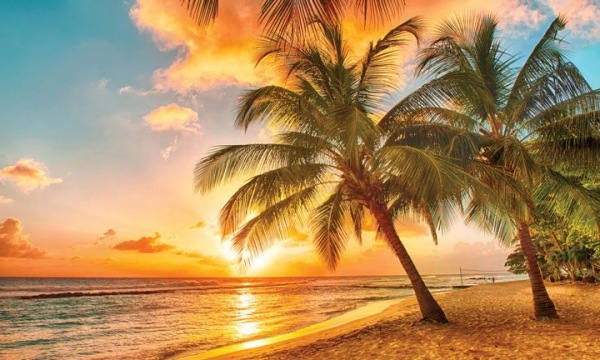 In recent years, Barbados has worked to move beyond being a sun and sea vacation – promoting its culture, history and cuisine. “We have one of the top dining scenes in the Caribbean, with incredible seafood,” said Roach.